Dr. Yamakawa is an Associate Professor of Entrepreneurship at Babson College. He received his Bachelor of Laws from Keio University (Tokyo, Japan), obtained his M.B.A. in Strategic Management from Peter F. Drucker Graduate School of Management (Claremont, CA), and completed his Ph.D. in Entrepreneurship at the School of Management, University of Texas at Dallas (Richardson, TX). Prior to beginning his doctoral studies, Dr. Yamakawa spent ten years working in Japan’s utility and telecommunication industries where he engaged in numerous corporate venturing activities and entrepreneurial start-ups. Dr. Yamakawa teaches in the areas/intersections of Entrepreneurship, Strategy, and International Business. He comes from a multi-cultural background, having lived in eight different countries around the world. Dr. Yamakawa’s research explores the stimulants and constraints behind entrepreneurial learning and growth. His current research interests include: Learning from entrepreneurial failure, dilemmas inherent in corporate venturing activities, failure of industry emergence, and bankruptcy laws and entrepreneurship development around the world. Dr. Yamakawa has presented his research at leading academic conferences such as Academy of Management Conference, Academy of International Business Conference, and Babson College Entrepreneurship Research Conference. His paper, “Entrepreneurship and the barrier to exit: How does entrepreneur-friendly bankruptcy law affect entrepreneurship development at the societal level?” won the Best Paper Award from the Office of Advocacy, U.S. Small Business Administration, for exploring the public issue of importance to the entrepreneurial community. His paper, “How does experience of previous entrepreneurial failure impact future entrepreneurship?” was selected Best Paper Proceedings and as Carolyn Dexter Award finalist. His paper, “Revitalizing and learning from failure for future entrepreneurial growth” won the Irene M. McCarthy Best Paper Award. 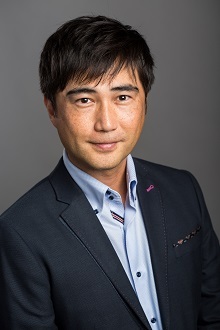 Dr. Yamakawa’s work has been published in leading Entrepreneurship/Management journals such as Journal of Business Venturing, Entrepreneurship Theory & Practice, Research Policy, Strategic Entrepreneurship Journal, Small Business Economics, and Management International Review. Lin, S., Yamakawa, Y., Li, J. (2018). Emergent learning and change in strategy: Empirical study of Chinese serial entrepreneurs with failure experience. Takahashi, H., Yamakawa, Y., Matthew, P. (2018). Board members' influence on resource investments to start-ups and IPO outcomes: Does prior affiliation matter?. Vol: 49, Page: 30-42. Pacific-Basin Finance Journal. Yamakawa, Y., Cardon, M. (2017). How prior investments of time, money, and employee hires influence time to exit a distressed venture, and the extent to which contingency planning helps. Journal of Business Venturing. Vol: 32, Issue: 1. Yamakawa, Y., McKone-Sweet, K.E., Hunt, J.M., Greenberg, D. (2016). Expanding the Focus of Entrepreneurship Education: A Pedagogy for Teaching the Entrepreneurial Method. Journal of Business and Entrepreneurship. Vol: 27, Issue: 2, Page: 19. Association for Small Business & Entrepreneurship. Yamakawa, Y., Cardon, M. (2015). Causal ascriptions and perceived learning from entrepreneurial failure. Small Business Economics. Vol: 44, Issue: 4, Page: 797-820. Lee, S., Yamakawa, Y., Peng, M.W., Barney, J.B. (2011). Bankruptcy laws and entrepreneurship development around the world. Journal of Business Venturing. Vol: 26, Issue: 5, Page: 505-520. Yamakawa, Y., Yang, H., Lin, Z. (2011). Exploration versus exploitation in alliance portfolio: Performance implications of organizational, strategic, and environmental fit. Research Policy. Vol: 40, Issue: 2, Page: 287-296. Lee, S., Yamakawa, Y., Peng, M.W., Barney, J.B. (2011). How do bankruptcy laws affect entrepreneurship development around the world?. Journal of Business Venturing. Vol: 26, Issue: 5, Page: 505-520. Yamakawa, Y., Peng, M.W., Deeds, D.L. (2008). What drives new ventures to internationalize from emerging to developed economies?. Entrepreneurship Theory and Practice. Vol: 32, Issue: 1, Page: 59-82. Yamakawa, Y. (2015). The study of entrepreneurship: Toyo Keizai. Toyo Keizai. Yamakawa, Y., Neck, H.M. (2014). Exercises to practice experimentation: Fear of failure: Teaching Entrepreneurship: A Practice-Based Approach. Page: 254-259. Edward Elgar Pub. Kato, S., Yamakawa, Y. (2014). Where goes the optimism? Adjusting over and under: Heuristics in decision-making: Frontiers for Entrepreneurship Research. Babson College. Yamakawa, Y. (2013). Is it worth planning for failure? When? How? : Frontiers for Entrepreneurship Research. Vol: 33, Issue: 5. Babson College. Hibara, N., Khoury, T., Mathew, P., Yamakawa, Y. (2012). Entrepreneurial foresight and the endogenous choice of market intermediaries in Japanese IPOs: Frontiers for Entrepreneurship Research. Vol: 32, Issue: 2. Babson College. Miller, J., Yamakawa, Y., Deeds, D.L. (2011). Legitimacy creation and destruction: Agricultural Biotechnology as an emerging industry that failed to grow: Frontiers for Entrepreneurship Research. Vol: 31, Issue: 15, Page: 10. Babson College. Yamakawa, Y. (2011). Planning for failure as de-biasing strategy for escalation of commitment at market exit: Frontiers for Entrepreneurship Research. Vol: 31, Issue: 6, Page: 21. Babson College. Yamakawa, Y., Peng, M.W., Deeds, D.L. (2010). Revitalizing and learning from failure for future entrepreneurial growth: Frontiers for Entrepreneurial Research. Vol: 30, Issue: 6, Page: 1. Babson College. Yamakawa, Y. (2016). Babson's signature entrepreneurship course. Entrepreneur & Innovation Exchange. Yamakawa, Y. (2016). Shackleton's Antarctic adventure: Parallels to entrepreneurship. Entrepreneur & Innovation Exchange. Yamakawa, Y. (2009). Bankruptcy and social stigma in Japan: Global Strategy, 2nd edition. South-Western Cengage Learning. Yamakawa, Y., Deeds, D.L., Schulze, W. (2015). Meet your new marketing team: The regulators.